Ken Cook, president and co-founder of the Environmental Working Group, opined that Pruitt, if installed, might be the “most hostile EPA administrator toward clean air and safe drinking water in history.” And indeed Pruitt’s career is a catalogue of micro- and macro-aggressions against what many would consider basic human entitlements. When Sen. Tom Carper of Delaware, the senior Democrat on the Senate Environment and Public Works Committee asked Pruitt to name “one Clean Air Act regulation—not a voluntary or grant program—on the books today” that he approved of, Pruitt prevaricated. While Pruitt disagreed with President Donald Trump’s assertion that climate change is a hoax perpetuated by the Chinese government, he stopped short of declaring that human activity was to blame. Lead cast a particularly large shadow at the hearing. Senator Benjamin L. Cardin (D-MD) asked Pruitt if he believed there was any safe level of lead in the human body, particularly for children and adolescents. His response, whether born of ignorance or sheer recalcitrance, was chilling. According to EPA, there is “no safe level of exposure to lead,” although an extremely small amount is allowed in pipes and plumbing fixtures. Equally alarming, Pruitt dodged senators’ questions about his ties with energy companies and other potential conflicts of interest by directing them to file open-records requests not once but 18 times. 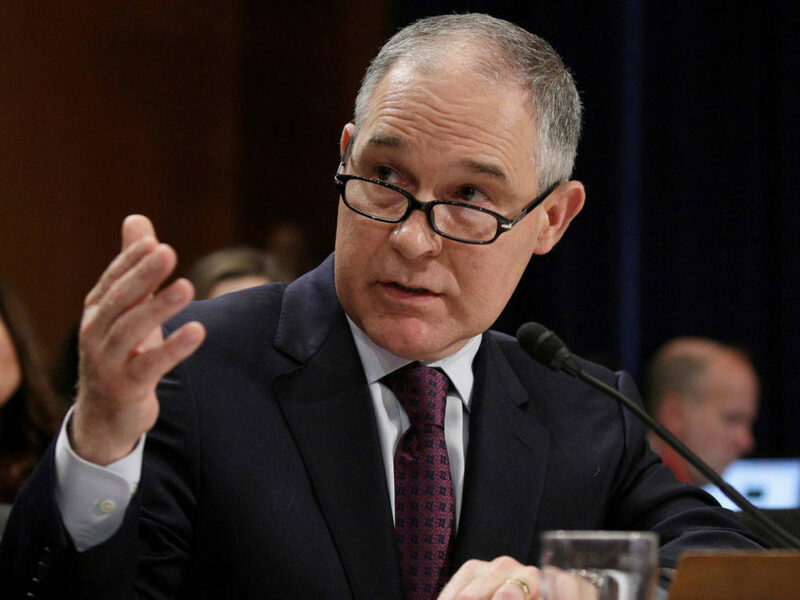 “Pruitt’s directive to senators to file Oklahoma open records requests is the political equivalent of saying ‘go pound sand,'” John Walke, Clean Air director at the Natural Resources Defense Council, said on Thursday. 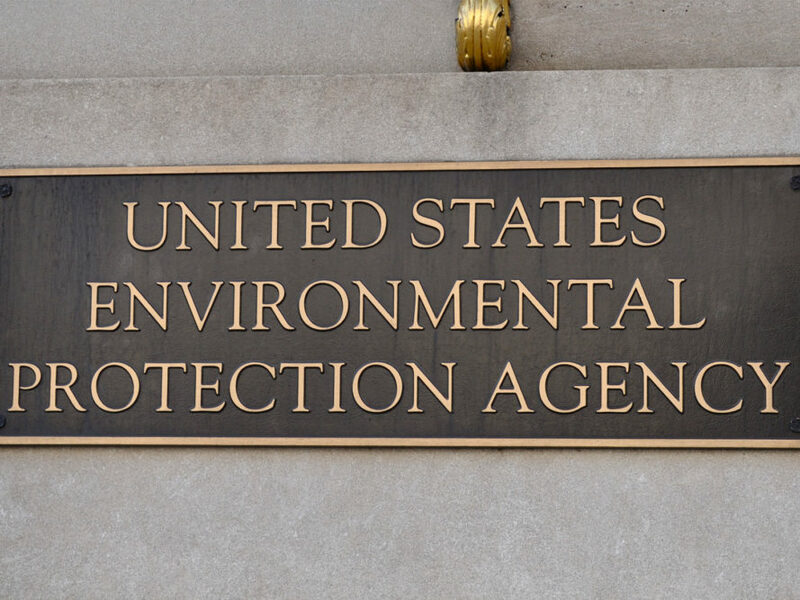 Already President Donald Trump has mandated that any studies or data from EPA scientists must be reviewed by political appointees before they can be released to the public. An administration that revels in spurious claims and half-truths would only seek to politicize research for its own benefit, hobbling discourse in the process. Fact would yield to belief, illumination to obfuscation, the needs of the many to the demands of the few. Perhaps most tellingly of all, Charles and David Koch, a.k.a. the Koch Brothers, are backing Pruitt’s power grab. Prognosis? A Pruitt-led EPA would be good for polluters, bad for everyone else. Scott Pruitt should send a shiver down your spine, even if your idea of environmentalism is using the same cup for a refill of your soda. At his confirmation hearing for head of the U.S. Environmental Protection Agency nearly a fortnight ago, Pruitt was unable to name even a single EPA regulation he supported. His hedging revealed a breathtaking, if perhaps unsurprising, amount of contempt for not only one of the nation’s most vital offices but also the very post he aspires to hold. During his tenure attorney general of oil- and gas-fueled Oklahoma, Pruitt sued the agency a vertigo-inducing 14 times for anti-pollution regulations he said were "inconsistent with its constitutional and statutory authority."